During the past month (30 days), 26.4% of underage persons (ages 12-20) used alcohol, and binge drinking among the same age group was 17.4%. Nearly three quarters of students (72%) have consumed alcohol (more than just a few sips) by the end of high school, and more than a third (37%) have done so by eighth grade. Among underage drinkers (ages 12-20), 30.8% paid for the alcohol the last time they drank – including 8.3% who purchased the alcohol themselves and 22.3% who gave money to someone else to purchase it. Among those who did not pay for the alcohol they drank, 37.4% got it from an unrelated person of legal drinking age; 21.1% received it from a parent, guardian, or other adult family member. 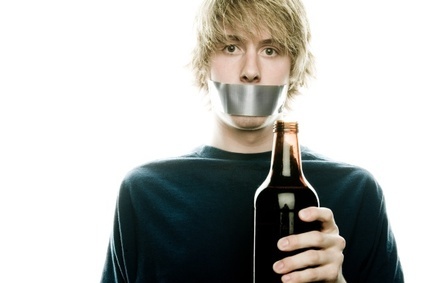 Many students, especially in high school, are involved in drinking alcohol. If you are a student pastor than you have students in your youth group that are faced with the pressure to drink or are currently drinking. Parents, your children are either faced with the pressure to drink or are currently drinking. In many churches and Christian families the method we use to keep students away from alcohol is this – just don’t drink! Some churches and Christian families may even go as far as to say – don’t drink because its a sin! Just telling students to not drink or don’t drink because it’s a sin doesn’t work. In his book, Youth Ministry by the Book, Roger Glidewell correctly states that “We cannot just lay down ironclad rules and expect that to suffice. Young people need to be equipped with principles behind the rules that will guide them in the gray areas of life.” So how should we teach our students about alcohol? Teach students that underage drinking is breaking the law. Even if you are on the social drinking side of this issue, we all know that if you are under the age 21 it is against the law for you to drink. We need to teach our students that God expects and commands us to obey the law. In Romans 13:1-7, the Bible makes it clear that God has placed governing authorities over us to in force laws. In that passage it says that if we disobey those laws we are actually disobeying God. Students don’t need to learn that underage drinking is against the law and disobeying that law is actually disobedience towards God. Teach students that in some circumstances it is not wise. Even though the Bible doesn’t say drinking alcohol is a sin (more on that later) it does say at times it isn’t wise. Leaders are told to be careful with drinking. Believers are told to abstain from drinking if it causes another believe to stumble. Drinking may not be wise if one as a history with alcohol abuse. These are situations where drinking may not be wise. Students will be better equipped to deal with the pressure to drink if they understand that in some situations it really isn’t wise. John Piper said, “Alcohol is deadly in our culture.” Alcohol isn’t something to be taken lightly. It can be damaging, which is why we need to help students understand the situations where it may not be wise to drink. Don’t teach students it is a sin. Through study, research, and thinking I do not believe drinking is a sin. I don’t see anywhere in Scripture we drinking is called sin. I do see where Scripture makes it clear being drunk is a sin (Ephesians 5:18). I don’t believe drinking is a “deal breaker” and should cause division between Christians. I do ministry alongside many who believe drinking is ok in moderation and I do ministry along side people who think it is straight up sin. If your study of Scripture and research leads you to believing drinking is a sin than you should hold to that conviction but don’t hold that conviction on others. Don’t teach students your conviction, teach students the Scriptures. My aim in this post is not to cause controversy or division. All I am saying is that telling students “Don’t drink, it’s sin” does not work well. We must teach and equip them with principles that will guide them to their own personal conviction based on Scripture. Here is a helpful video where John Piper explains how drinking can be wrong, but is not sin in and of itself. Helpful links on this subject: Mark Driscoll on Alcohol, John Piper on Total Abstinence and Church Membership, and another great John Piper video on this subject. Next Post Would Jesus Go to Chapel? Great post! I wish I had of had someone in my face more often about drinking, I suffered a lot in my life due to alcohol and bad choices. Thank you for taking the time to read this post and leaving a comment. I’m sorry drinking has caused you problems, but pray that you learn from them and teach others about it. Glad God is forgiving and gracious to us! Very true, I have learnt from my past mistakes and my blog is about those mistakes, I hope just like you that if my story helps even 1 person than it was worth all the sharing. 🙂 Have a great day. God will never waste your story, He will use it to impact others. Keep sharing! So, do you place marijuana in the same category? I have a very long detailed rebuttal to your stance I would like for you to read it , but wanted you to understand its all meant to be a good spirited debate before I post it. The question about marijuana does make me think and is a good probing question. I would be more than willing reading what you have. Like I said in my post, the drinking issue is not a deal breaker. I believe this should not be a “break fellowship” issue for believers and something we can agree to disagree because of our freedom in Christ. With that being said, share your thoughts and I believe it will be a good, thought provoking discussion.